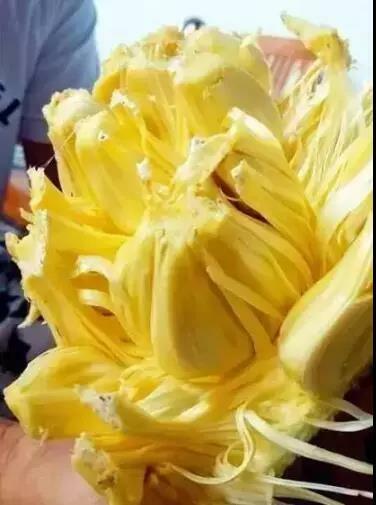 If your dream is to travel across the globe and enjoy life to the fullest, my pursuit is to live in a realm of bananas, mangos, durians and pineapples, where varied fruits are readily available. 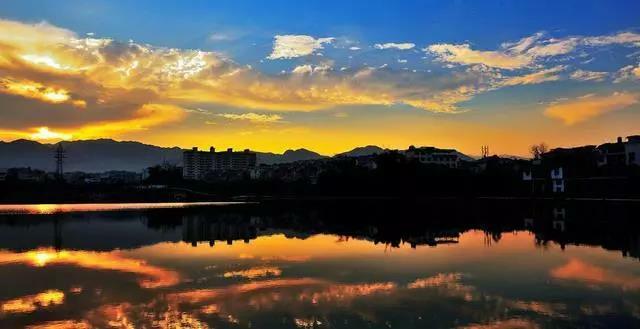 Yes, here I am in Mangshi City, southwest Yunnan. 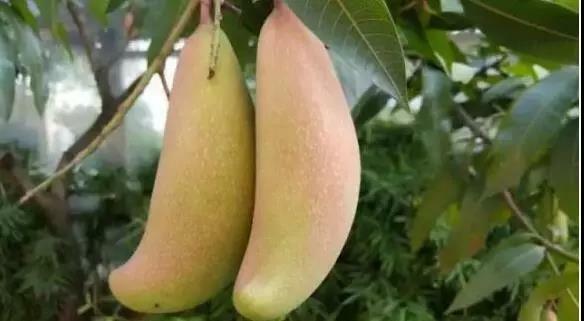 Recently, local netizens in Mangshi left messages on Weibo, a Twitter-like Chinese social network. 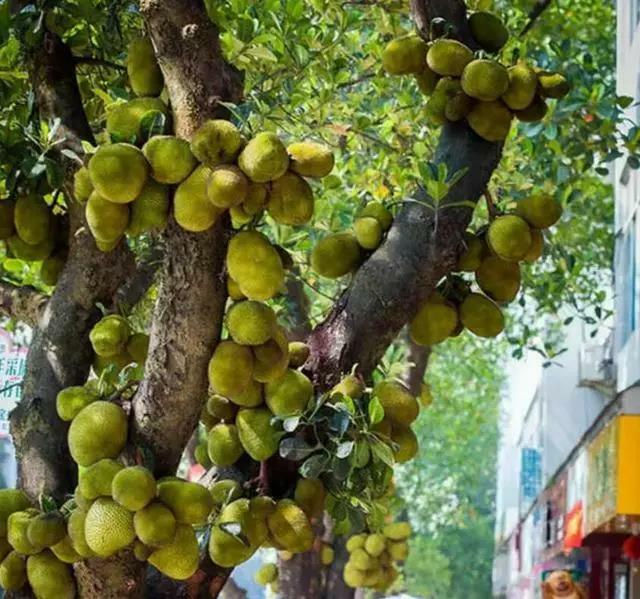 Stroll on the streets in Mangshi nowadays, and you will be often greeted by fruits with pleasant scents. 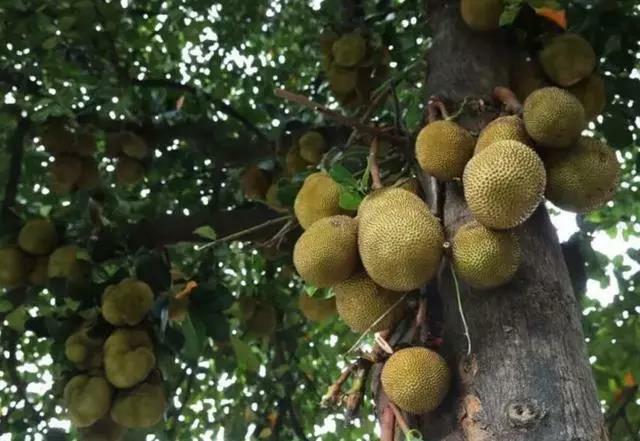 Jackfruits are the most common in Mangshi. 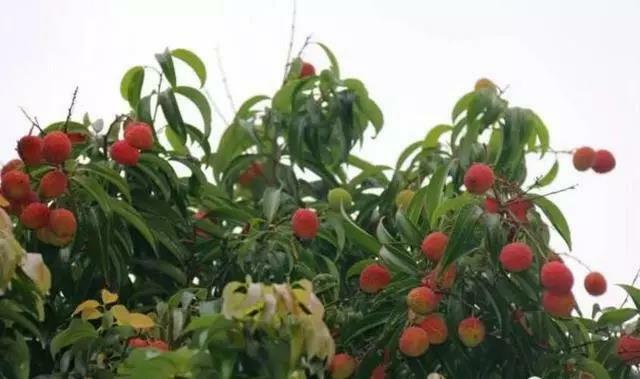 And the fruit is visible at many sites, be it on the street near the Municipal Hall or on the boulevard leading to the Mangshi Airport. 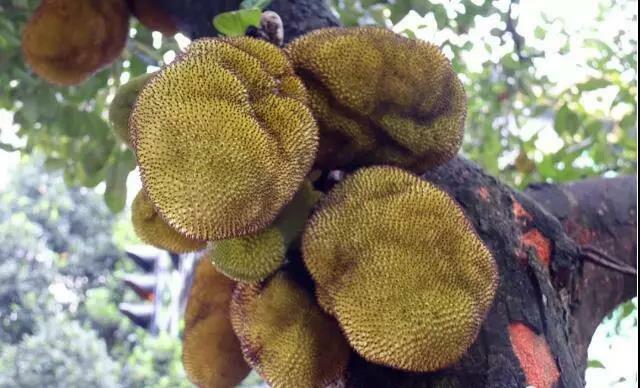 With branches fully occupied by fruits, the jackfruit trees form an amazing sight. 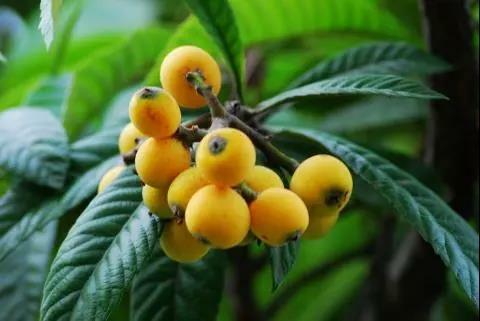 The plant is extraordinarily productive. 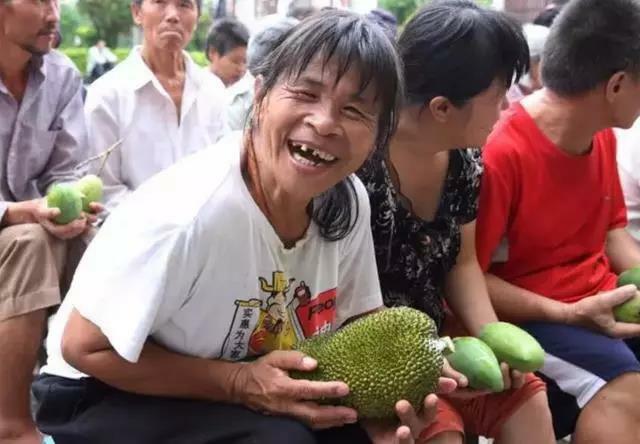 The cute jackfruits vary in form, giving off a pleasant scent. 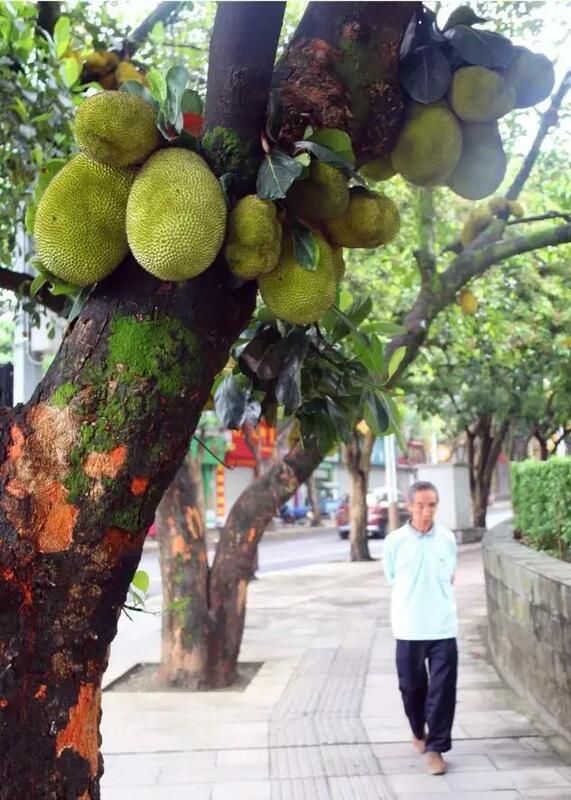 If you stroll on the Mangshi boulevards nowadays, mind the cute but massive jackfruits hanging over you. 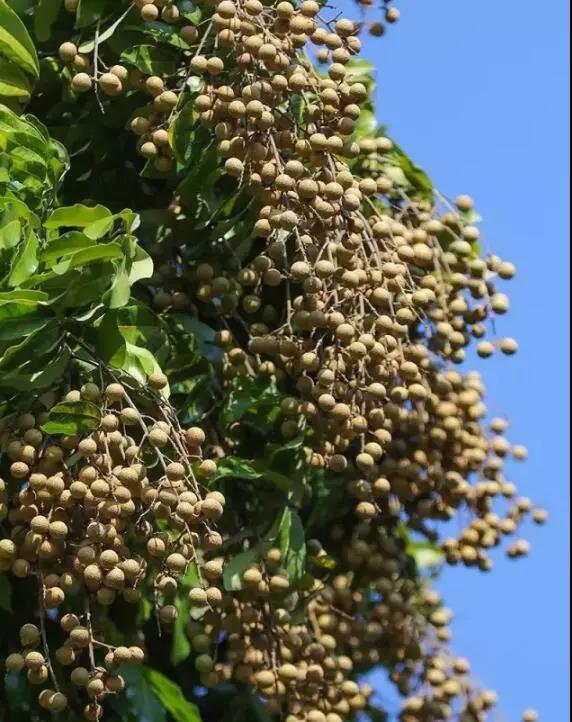 The ripe ones could fall at any time, and they’re heavy! 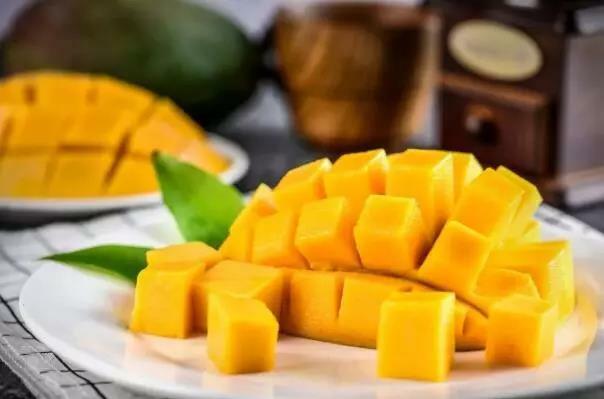 Besides the jackfruit, mangoes are also a most eye-catching fruit in Mangshi. 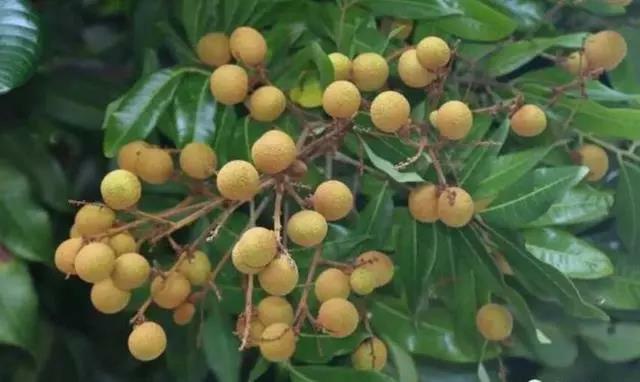 Lured by their scent and jewel-like dews on the surface, you might as well try to imagine what their inside look like. 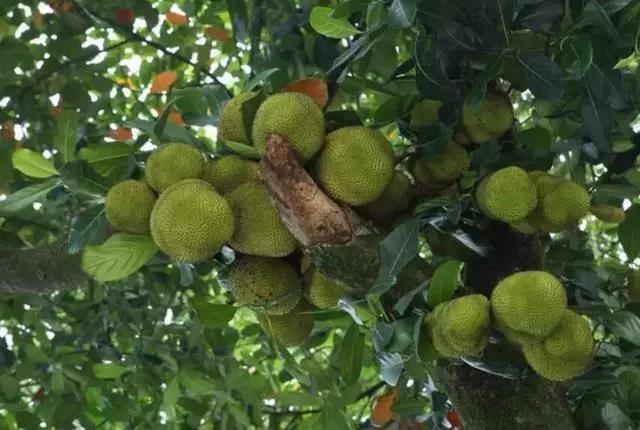 Wow, so many fruits! 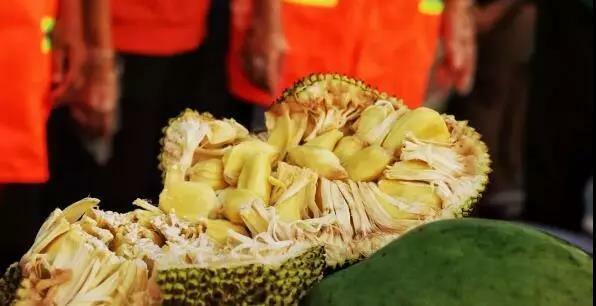 And each stirs your taste bud! Are you slobbering over them? 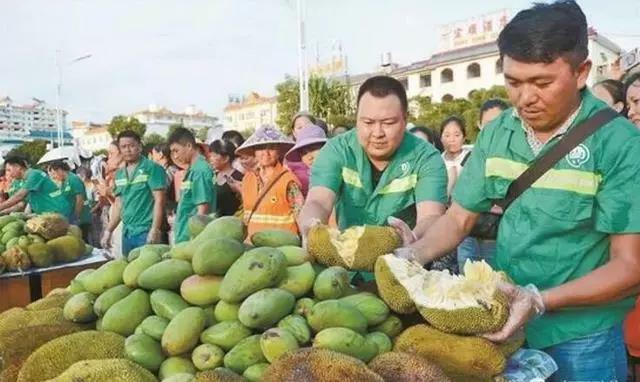 At present, 16 roads in Mangshi City are coupled with thousands of fruit trees, including the trees of jackfruit, mango, longan, macadamia, grapefruit, pineapple, wild plantain, and more. 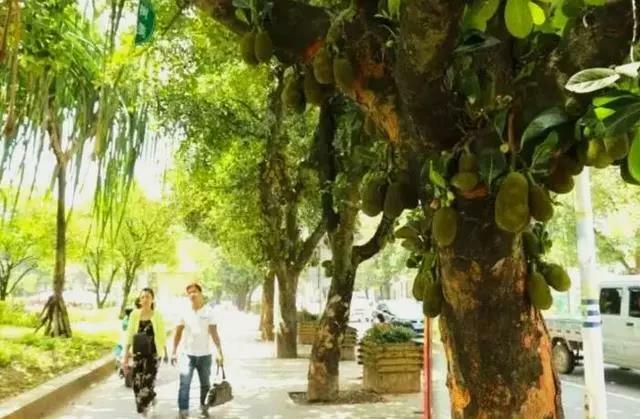 “So, are all these fruits on the streets edible?” some may ask. “Sure!” They taste great and won much praise from passers-by! 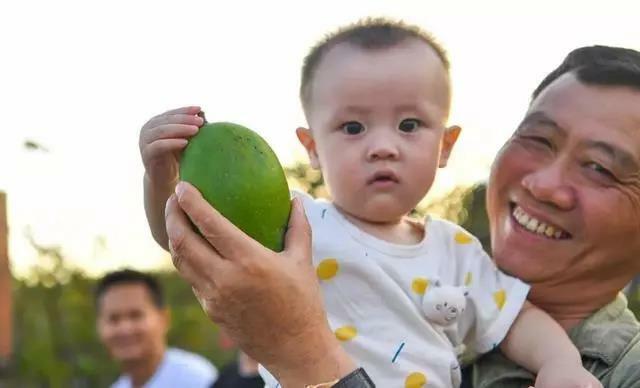 In the past years, locals have picked the fruits at maturity and sent them to the needy at old people’s homes and welfare homes, as well as to other less-privileged groups. 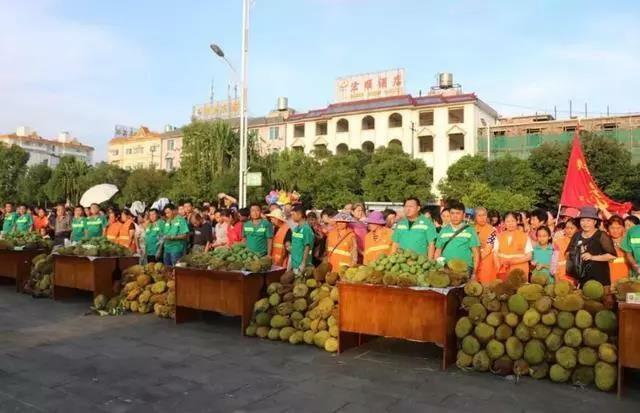 This year, however, saw a fruit-sharing day marked on July 17 at the Mangshi square. 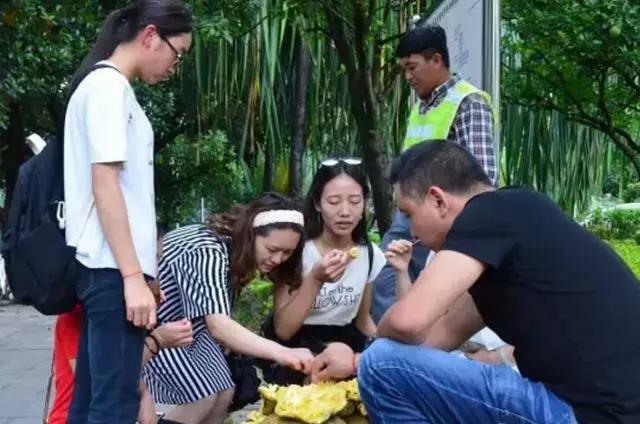 That day, local folks ate up 5.6 metric tons of jackfruits and mangos in the streets. 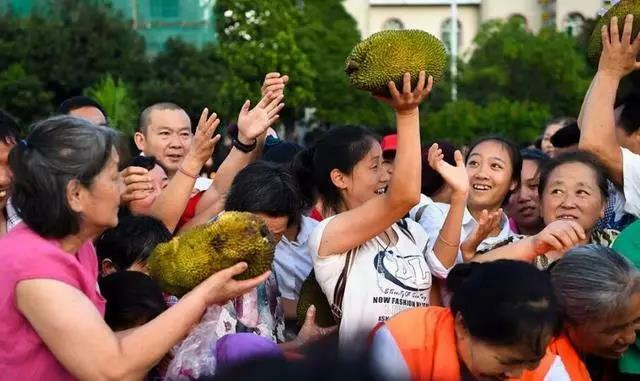 More than 1,000 are said to have joined in the merry activity. 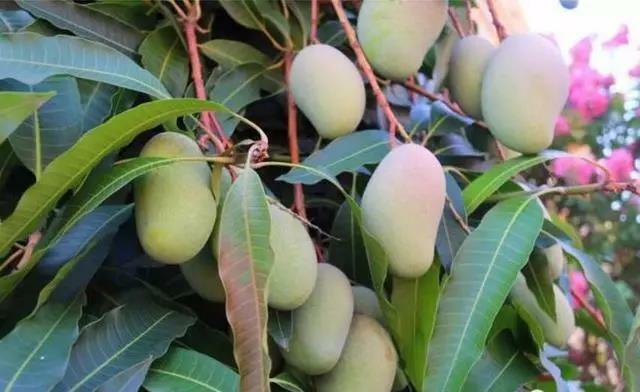 Now, are you itching for a visit to Mangshi? 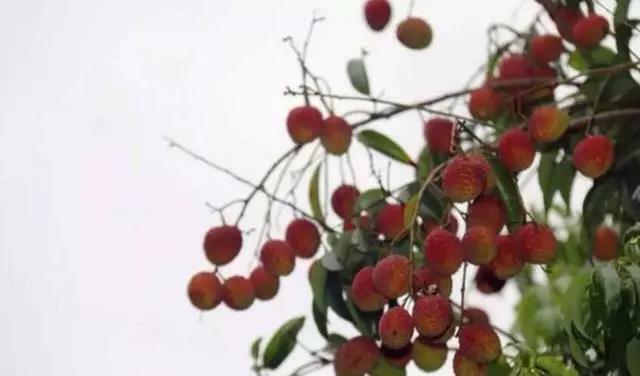 In reality, you’d better not pick the luring fruits at will, for you could be fined by local managers. 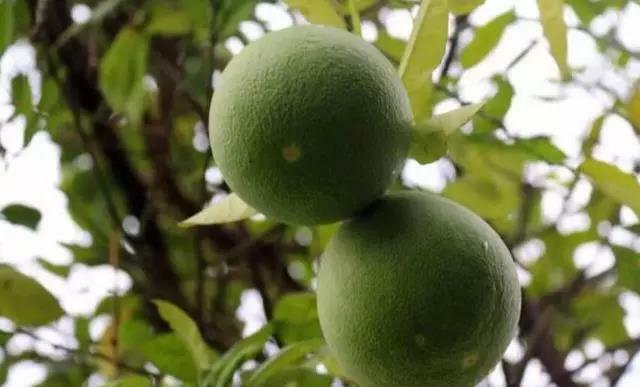 They want the fragrance and “cuties” to be enjoyed by more visitors.